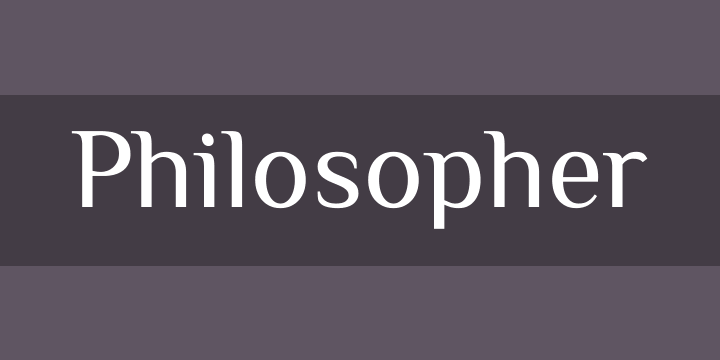 Philosopher was started in 2008 and takes inspiration from Agfa Rotis and ITC Binary. This font is universal: It can be used for logos, headlines, and for text. The initial version of the font was deliberately spread with errors - this was my invaluable contribution to type culture around the world, as I thought then - I wanted to stir up designers so they began working with fonts, rather than passively using what is there. Over time I wanted to correct the errors, and now the font has been used by millions of people worldwide.